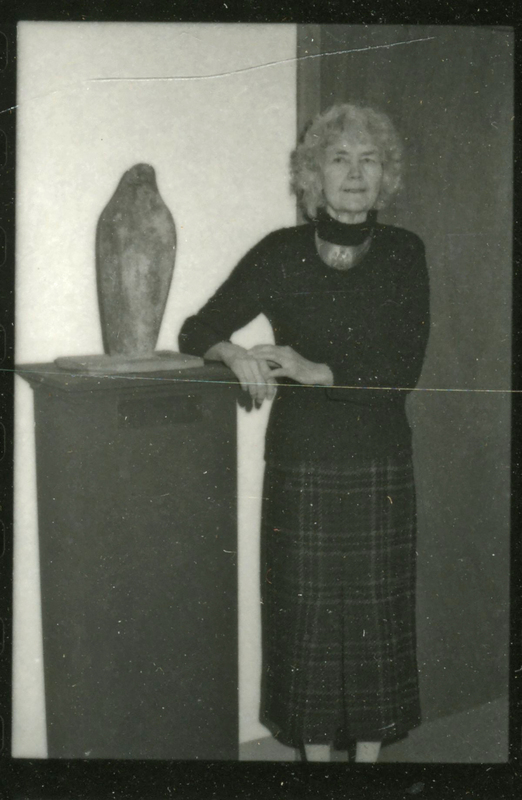 Caparn is posed next to her sculpture at an event to mark the donation to WestConn of a group of her sculptures. 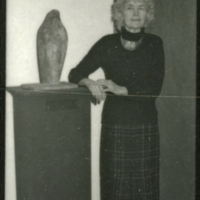 “Rhys Caparn with Watching Bird sculpture.” Western Connecticut State University Photographs and Miscellanea, RG8. WCSU Archives, 6 Feb. 2019. Accessed on the Web: 21 Apr. 2019.